Updated Monday April 30, 2018 by Matt Woodard. Our 12U Advanced Baseball team took home 1st place in the Advanced Baseball Season Tournament this weekend in Bloomingdale. The team went 11 and 1 on the season overall. 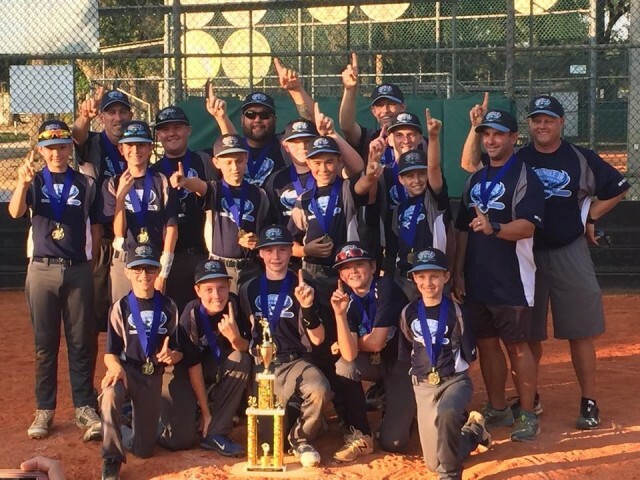 They defeated N. Brandon 18 to 5 in the first game yesterday, then capped the season off with a 1 hit shut out in the championship game over the N. Tampa Hammerheads! Congratulations to all of the players for their hard work, to the coaches for their time, and to the families for their commitment!